How and to where do we deliver? We ship everything by 1st Class Royal Mail Recorded Post or courier (Parcel Force, APC, DPD or CityLink) to the UK, Isle of Man, Channel Islands and all EU countries, other European Countries, plus Canada, the USA, Australia, New Zealand, South Africa and many more countries. The delivery (or shipping) charge will be based on the weight and value of the items you order and will be automatically calculated during the checkout process. You will be able to review any delivery charge before you place your order. 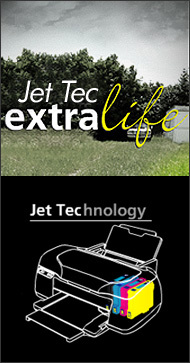 FREE DELIVERY for all Jet Tec products to the UK! Delivery to the UK can take as little as one or two days. Delivery to other EU countries takes a few days longer. If we receive your order before 16.30 (GMT/BST) on weekdays, then subject to availability, we will despatch your goods to you the same day. 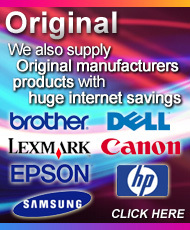 We can send your order in multiple shipments if part of your order is out of stock, we call this a "part despatch". If you have received an e-mail informing you that items have been despatched, you can be certain they are in transit. Occasionally, there are delays within the postal system. Although delays are rare, please allow 15 days (UK) and 30 days (EU) for your order to arrive, particularly during the peak periods around Christmas, New Year and Bank Holidays. Unfortunately, we cannot start tracking parcels until this time has elapsed. If you do not receive your goods within the time-scales above, please contact us. Over 70% of parcels presumed lost, are often just waiting to be collected from a neighbour or your local mail sorting office, so please check first. Compensation is limited to the cost of the goods ordered and will take the form of a replacement or a refund. 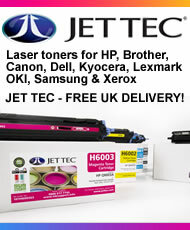 Simply select to have your order shipped to your work place, a neighbour or a friend's house. If your order has been shipped via Royal Mail Recorded Delivery your postman/woman will leave a calling card on their first delivery attempt telling you how to re-arrange delivery or where you can collect your package from when convenient for you. If your order has been shipped via a courier (usually Parcel Force, APC, DPD or CityLink), they should leave a calling card on their first delivery attempt. They will then re-attempt delivery the following day. If no one is still available, they will return your parcel to your local depot and await you arranging a convenient day for delivery (excluding weekends) or arranging a pick-up from your local depot. They will hold your parcel for a maximum of 5 working days, before returning the parcel back to us. When we receive your order. As soon as your order has been despatched. If you are an existing customer, you may also login to your account using your email address and password to track the progress of your order.